Registering is a fairly simple process. Because we want to provide the highest level of information to help you progress your dancing, the information in the student section is for current Forever Dance students only. To achieve this, anyone who registers must be approved by Forever Dance. To Register, Click on the Register Now button at the end of this article and follow these instructions.Print out these instructions by clicking on the Print icon at the top right of this article! Next you will receive an email asking you to confirm both your email address and ensure you are of course, you. It is very important you click on the confirmation link in this email. View a copy of the email. The link is circled in RED. Clicking on this link will open the Forever Dance website in your web browser. Unfortunately you are not approved at this stage. One stage still remains but you don't have to worry, your work is done. Once Forever Dance has confirmed you are a current student, you will be approved and receive a confirmation email instructing you that you have been approved. 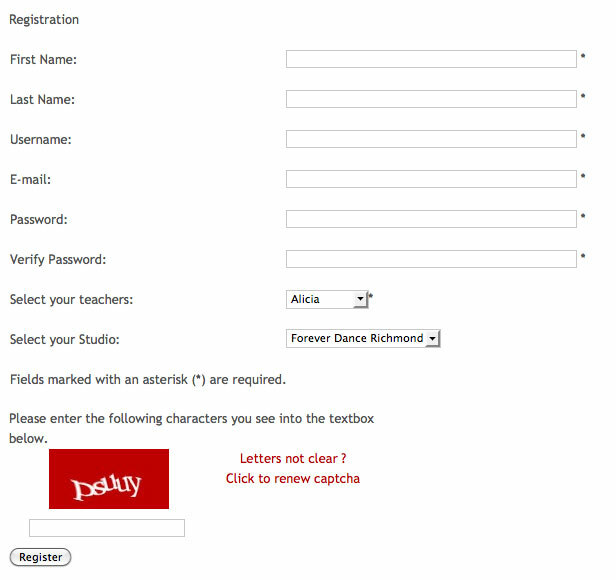 You can then log in using the Username and Password you provided and enjoy the Forever Dance Student only section.